Join the Seasoned Spoon Café and Trent Vegetable Gardens for a campus farm-to-table tour as part of disorientation week at Trent in collaboration with OPIRG Peterborough. The Trent Vegetable Gardens and the Seasoned Spoon Café partner together to create an accessible and sustainable local food system right here on campus! Tour the café space, off the grid root cellar, rooftop garden, field garden and community gardens. We'll discuss the work these organizations are doing to build an alternative food system at Trent and all the ways you can get involved including experiential learning, research projects, workshops, volunteering, community meals and more. Find out how you can join the food movement at Trent. 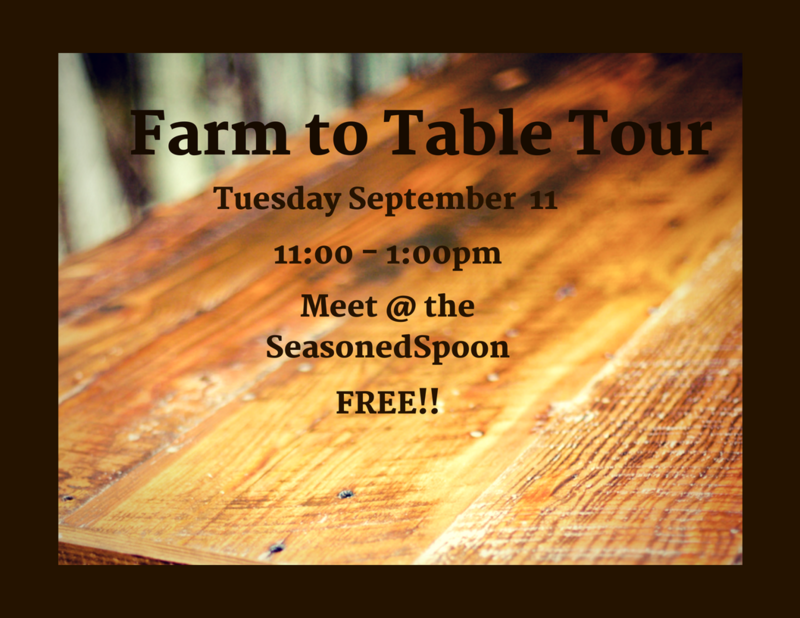 Expect some delicious food samples and hands-on garden activities as part of this tour!